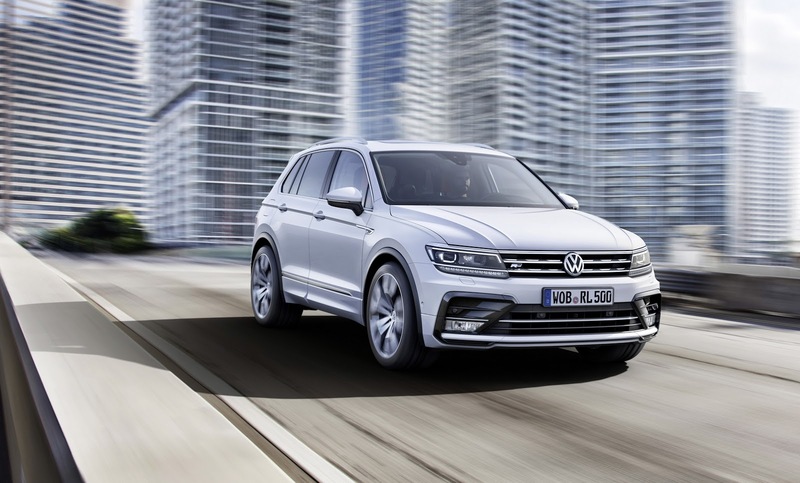 It remained two months until the new VW Tiguan will be available at the dealers. But the German manufacturer thinks a little further: the second Tiguan generation is about to become an entire family! Based on this new SUV, the Germans plan to create two new versions: a 7-seater and a 5-doors coupe. The XL version (which you can find it rendered below) is due on sale in the end of 2016, and it will be built in Mexico, at Puebla in 500 units daily. The plant is very convenient placed, since one of the biggest selling market is expected to be US. However, it will very likely be built also in China, where the new model will achieve the greatest selling figures. It won’t be very different from the main model: it will have longer rear-doors (to allow the access to the last row of seats) and a larger overhang. In fact, I expect it to be at about the same size as the next Czech 7 seats SUV, Skoda Kodiak. The interior will also be very much alike the short version’s. As about the engines – the same 1.4TSi, 2.0TSi and 2.0TDi will also equip the long version. 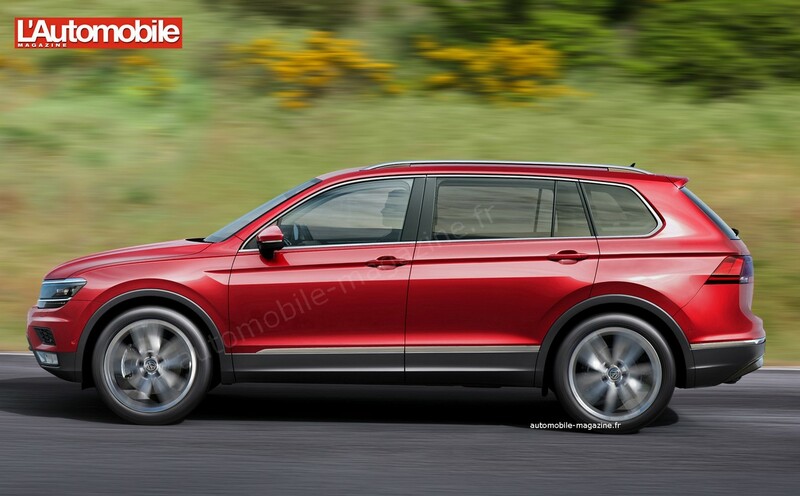 A second, more dynamic version of the Tiguan will be the 5-doors coupe. It’s intended to be a Range Rover Evoque rival and it will be unveiled in 2018. VW is not the only carmaker to launch a competitor for the English model: Mercedes Benz Concept Coupe and Mazda Koeru are two models ready to attack the segment in the future.